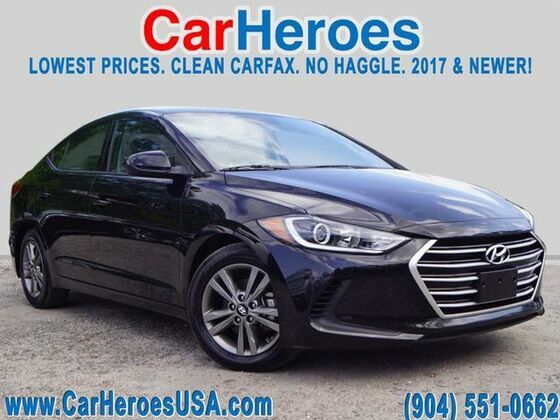 CarHeroes has a wide selection of exceptional pre-owned vehicles to choose from, including this 2018 Hyundai Elantra. This Hyundai includes: PHANTOM BLACK BLACK, CLOTH SEAT TRIM *Note - For third party subscriptions or services, please contact the dealer for more information. * When you purchase a vehicle with the CARFAX Buyback Guarantee, you're getting what you paid for. This wonderfully fuel-efficient vehicle offers a supple ride, quick acceleration and superior styling without sacrificing MPGs. A truly breathtaking example of pure vehicle design achievement...this is the vehicle of your dreams!